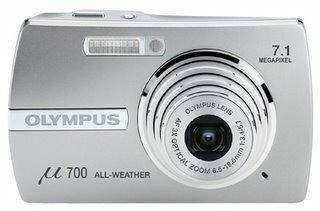 Tony Smith has reviewed this digital camera from olympus, the Mju 700. The 700's 7.1 megapixel sensor can create image files easily large enough and with enough detail for prints up to and over A3 in size, enough for the majority of snappers among you. Twenty-three scene modes provide a great range of auto-shooting presets such as (the more usual) Landscape, Portrait and Night Scene modes. 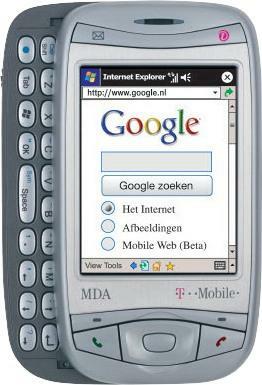 Kent German has reviewed this mobile phone from Samsung, the SGH-D357. Ben Patterson has reviewed this mobile phone from T-Mobile, the MDA. Canon released the 12x optical zoom PowerShot S3 IS. Canon today announces the release of the 12x optical zoom PowerShot S3 IS. Successor to the popular PowerShot S2 IS, the latest addition to the PowerShot S-series incorporates a 6.0 Megapixel CCD sensor, Canon's renowned optical Image Stabilizer technology and video functionality rivalling that of dedicated digital video camcorders. Sporting a striking new finish in gunmetal grey, the compact PowerShot S3 IS answers the demands of advanced photographers with several improvements over its predecessor, including an increased sensitivity range of ISO 80 to ISO 800, a larger 2.0" vari-angle LCD screen, widescreen (16:9) recording, new movie features and an additional Sports mode. The PowerShot S3 IS caters for serious photo enthusiasts seeking extended zooming flexibility and fully featured movie recording in a versatile compact digital stills camera. Still the most powerful zoom in a Canon digital compact camera (36 – 432mm f/2.7-f.3.5), the PowerShot S3 IS’s lens incorporates the same leading technologies used in Canon's professional EF lenses. An Ultra-Sonic Motor (USM) drives rapid and near-silent zoom operation; an Ultra-low Dispersion (UD) lens element significantly reduces chromatic aberration in telephoto shots; Canon's optical Image Stabilizer (IS) technology counteracts camera shake to reduce image blur when shooting stills or recording video, essential for handheld shots at longer focal lengths. IS allows photographers to shoot at shutter speeds up to 3 stops slower for reliable flash-free photography in low light conditions. The PowerShot S3 IS's 12x optical zoom combines with digital zoom to deliver 48x magnification for recording both stills and video. For even wider framing options, optional Wide and Tele converter lenses extend the focal length from wide 27mm to super-tele 648mm (35mm film equivalent) for an impressive 24x optical zoom. A Super Macro mode with 0cm shooting distance and optional Close-Up lens 500D (58mm) allow for detailed macro photography. In addition to Image Stabilization, the PowerShot S3 IS features a new High ISO Auto setting and ISO 800 to further extend the camera's low light shooting capabilities. High ISO Auto automatically sets exposure using the higher range of ISO sensitivities, enabling faster shutter speeds in low light and increased image stability at the telephoto end. A dedicated ISO button allows for easy switching between ISO sensitivities. Powerful video functions make the PowerShot S3 IS far more than just a high performance digital still camera. A dedicated movie button means users do not need to switch modes to start recording, so spontaneous moments can be instantly captured in full motion. Users can record smooth 30fps VGA quality movies of up to 1GB with stereo sound, or create 60fps QVGA clips for sharp slow motion playback. The Movie mode also allows users to pre-select exposure and white balance, zoom throughout the camera's focal range and manually adjust focus while shooting. A Photo In Movie feature enables the capture of full resolution digital stills during video recording. The PowerShot S3 IS offers 20 shooting modes including full Manual mode, Aperture Priority and Shutter Speed Priority. Together with 2.3 fps continuous shooting, a new fast-shutter Sports mode with improved auto focus accuracy provides unprecedented capabilities for capturing action sports sequences. Special Scene modes – such as Night Snapshot and Snow – assist with tricky lighting conditions, while Color Accent and Color Swap modes enable dramatic colour effects to be applied to both images and movies. Canon's My Colors photo effects have been enhanced for this model, and can now be applied to images both before and after shooting. The PowerShot S3 IS features a new Widescreen mode (2816 x 1584 recording pixels) for capturing still images in 16:9 format – perfect for viewing images on widescreen television or printing wide (10 x 20cm) photos with a SELPHY Compact Photo Printer. A new, dedicated Print menu simplifies printing of multiple images. Full PictBridge support means users can print directly to any PictBridge compatible printer without the need for a PC. New PictBridge features include the ability to print shooting data and optimise faces in portrait shots when connected to a compatible Canon PIXMA printer. The camera's ID photo and movie stills features are also available when connected to a SELPHY CP Series Printer. A handy Print/Share button allows one-touch printing and easy uploads to Windows or Mac systems. The camera's menu system now features support for Arabic, bringing the total number of supported languages to 23. The camera is compatible with MMC/SD cards, and comes supplied with a 16MB Canon card. Canon's lens shift-type optical Image Stabilizer counteracts the camera shake caused by slight hand movements. Vibration sensors detect the angle and speed of movement and send this information to a processor, allowing the camera to compensate. This adds stability to hand-held, telephoto or moving shots and enables shooting at shutter speeds of up to three stops slower with no noticeable increase in image blur. Canon's purpose-built DIGIC II (DIGital Imaging Core) image processor links all primary camera functions for maximum efficiency. High-speed processing results in outstanding responsiveness, rapid auto focus and extended continuous shooting ability. Advanced image processing algorithms deliver superb image detail and colour reproduction with accurate white balance and minimal noise. DIGIC II operates efficiently to extend battery life, for longer shooting on a single charge. iSAPS (Intelligent Scene Analysis based on Photographic Space) automatically optimises key camera settings before every shot. Each scene is analysed and cross-referenced against Photographic Space – a vast in-camera library of photographic data. This enables the camera to make optimal adjustments to auto exposure, auto focus and auto white balance before image capture occurs. Canon's 9-point AiAF (Artificial Intelligence Auto Focus) automatically scans and selects subjects from a set of nine focusing areas across the scene. This ensures accurately focused images even when subjects are not in the centre of the frame. FlexiZone AF/AE lets users manually select the focus point from almost any point in the frame by moving the auto focus window in the viewfinder. Exposure is linked to the focus point to ensure that the chosen subject is accurately focused and exposed. No matter how well engineered, conventional optical glass lens elements cause chromatic aberrations which can ‘soften’ images and appear in photographs as fringing around the outside edge of subjects. Canon’s Ultra-low Dispersion (UD) glass has special optical properties to successfully reduce these aberrations. Especially effective in super telephoto lenses, UD glass helps to deliver crisp, sharp, high contrast images. Canon’s new PowerShot S3 IS digital camera will be available in May for an estimated selling price of $499.99. Gordon Laing has reviewed this digital camera from Olympus. 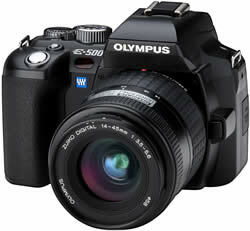 The E-500 was the third E-series SLR from Olympus. 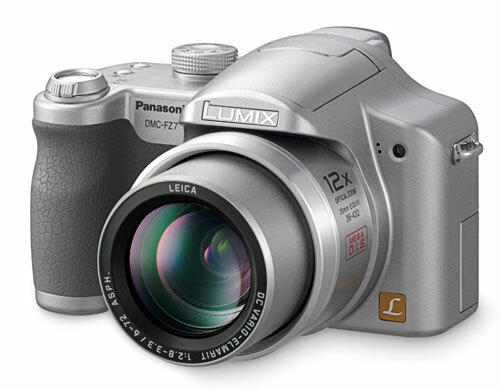 Patrick Singleton has reviewed this digital camera from Panasonic, the DMC-FZ7. 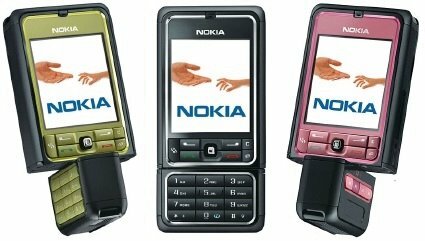 Mobile review has reviewed the Nokia 3250. 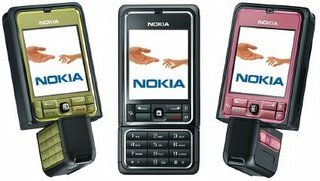 Nokia is replicating similar products built on S60 platform at full speed. After releasing base model, another 3-4 products with small differences between each other in terms of functionality and design appear. Within a certain time interval the models don't have major hardware differences. A lot of things are just software changes, and few additional features, like different camera module, presence or lack of IrDA port. This method is great for saving money on developing new platforms, it's economically correct, but it also leads to problems with explaining differences between the models to the consumer.